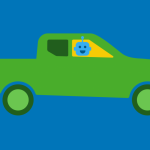 Customer service & automotive industry: What do the automotive industry and messengers like WhatsApp have to do with each other? 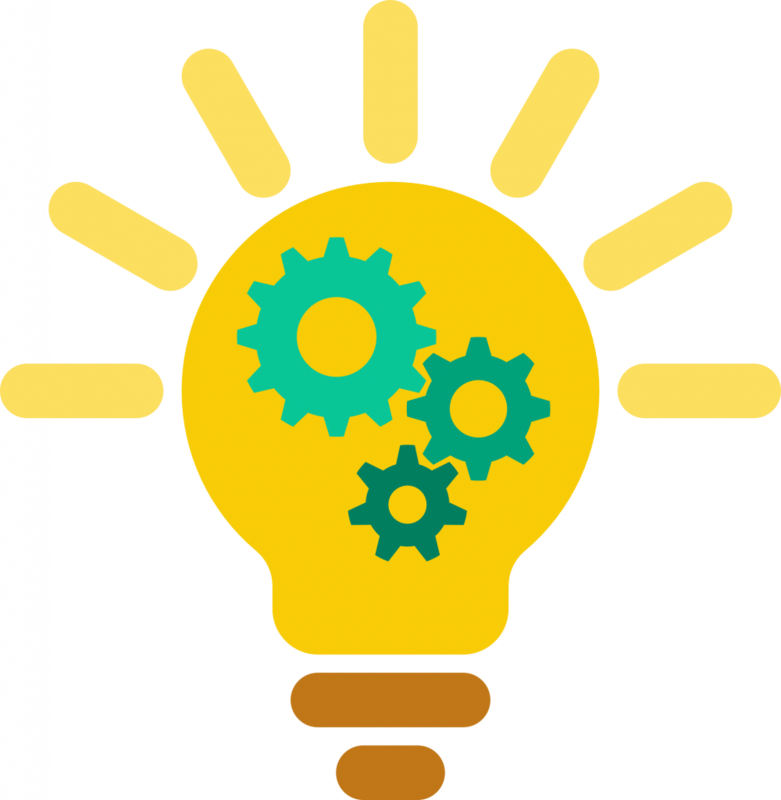 The answer lies in two particular factors that have been critical to their growth: innovation and speed. One of the hallmarks of the automotive industry has been its ability to respond to challenges through innovation and a focus on sustainability. Recently, this has included using Messenger marketing to support the industry’s evolution, which will be explored further in this article. One particular anecdote that sets the stage for considering the impact of Messenger apps like WhatsApp is the annual German task of changing summer tires to winter ones to fit the upcoming winter’s weather conditions. This is commonly referred to as “from O to O”, or from October to Easter in German. Many drivers find that if they are unable to change their tires themselves, they face the challenge of trying to secure an appointment at their preferred car dealership or autobody garage, something that often requires a lot of time and patience. This is where WhatsApp could play a huge role in facilitating these appointments, benefitting both drivers and the mechanics. Messengers are the perfect channels to offer great customer service in the automotive industry. What would it be like if appointments could be arranged via Messenger apps instead of over the phone or by SMS? Customer service would be direct, personal, fast and cost effective for both sides. Clearly, Messenger apps could save plenty of people a lot of time and aggravation each October. 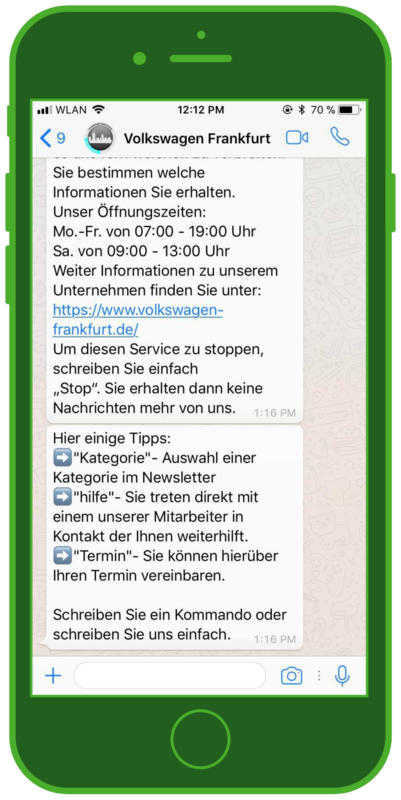 This example showcases just one way that WhatsApp can promote growth and success for the automotive industry and those connected with it. At the end of the day, much of the automotive industry’s success rests on its car sales, which are heavily linked to the effectiveness of marketing activities. In order for the industry to achieve these aims, it needs to prioritize facilitating contact with target market audiences in a contemporary way. This is where WhatsApp can have a tremendous impact. One in three people prefers communicating with companies via mobile messaging services to more traditionally available communication avenues like email and the telephone. It is no surprise that one in five in Germany believes that regular contact with companies via WhatsApp should have already become a reality. As an increasingly important communication channel, WhatsApp is well-placed to meet these modern day consumer demands. One reason is that it is the most popular communication channel for all age groups. While it is still a major social tool for teenagers and young adults, WhatsApp is also the most popular messaging tool for older audiences, ahead of social media. It isn’t only car manufacturers who increasingly rely on WhatsApp to meet their outreach needs. Fan communities and racing series also use WhatsApp to not only reach their target groups but also to distribute relevant content. WhatsApp can make regular newsletters stand out by integrating different types of media. These include audio files detailing special offers, statistics, highlight compilations, pictures with inspirational quotes, comics and whole videos, all of which help make newsletters even more appealing, informative and entertaining. WhatsApp’s impact does not end there: some groups have started using WhatsApp to promote direct contact with individual users and encourage them to provide personal feedback. 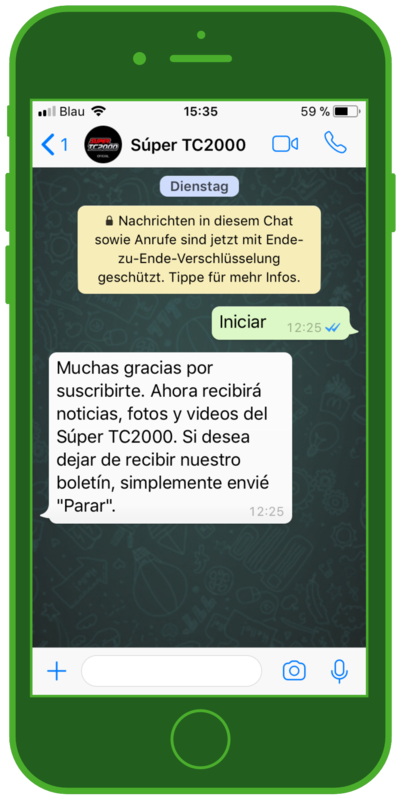 The Argentine racing series SuperTC2000 uses WhatsApp to disseminate information on upcoming events, news, videos, live press releases and interviews both before and during race days. At Merceds-fans.de, their strategy for communicating with fans is built around using WhatsApp. Merceds-fans.de is able to use WhatsApp to channel their fans’ passion into interest in the various features of their community page. WhatsApp also helps to facilitate everything from Community Management and Service to new fan competitions and the presentation of the latest race car models. These factors all help to create a newsletter with a more direct and personal feel. Messenger marketing is also used at Volkswagen Automobile Frankfurt to address situations similar to the one described at the start of this article. 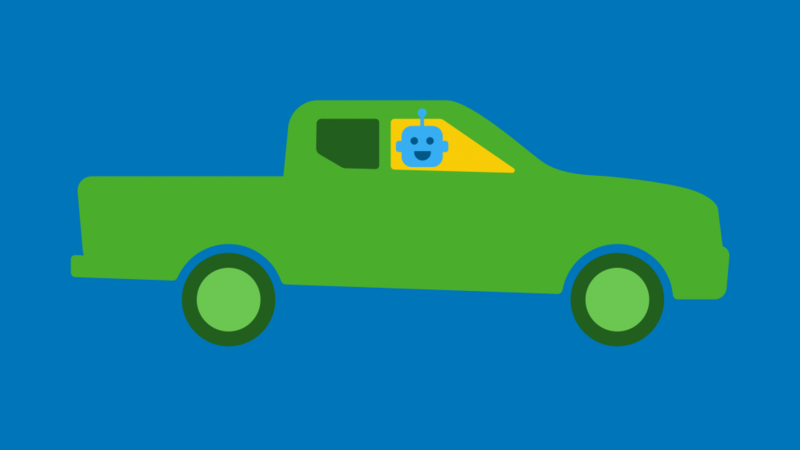 When customers want to use their autobody service and need to schedule an appointment with a particular garage, they can do so over WhatsApp with the help of a chatbot that procures information about the customer’s needs. 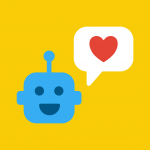 The chatbot subsequently sends the information to the appropriate employee who then takes over correspondence with the customer in a one-on-one chat. The crucial value-added difference that WhatsApp provides is its ability to offer customers personalized and direct communication with a relevant employee. Furthermore, the speed with which customers can arrange appointments and have their needs met via a digital channel is a major boon worth noting since most people are already active on digital channels several times a day. The convenience and efficiency that WhatsApp offer makes it a no-brainer for companies that are looking for an innovative way to connect with customers and satisfy their needs.